Young Producers: Sesh N Sauce LIVE! 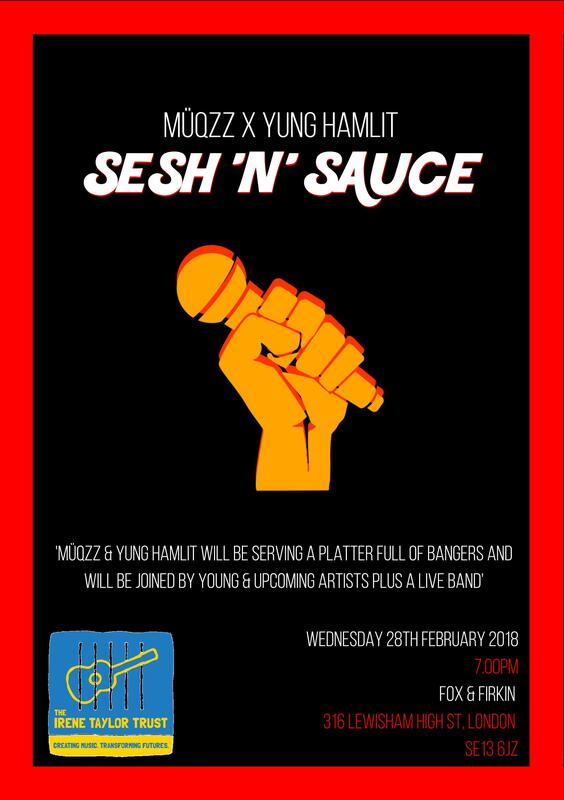 We’re feeling very proud of our Young Producers Müqzz and Yung Hamlit and all the young people who took to the stage at their ‘Sesh N Sauce’ event in Lewisham last night (postponed last week due to snow). 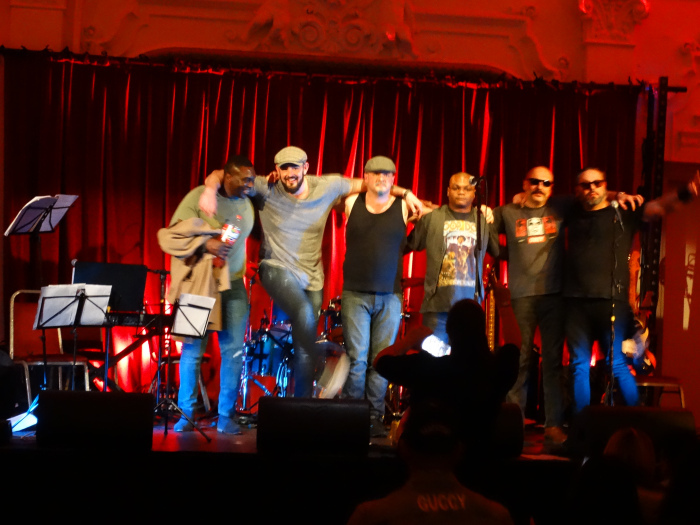 The performances were magnificent – professional, original and entertaining! So much musical talent! It’s so inspiring to see the young people we work with on Making Tracks continue to flourish on Young Producers – and wonderful to have some familiar faces returning to share their new musical ventures with us. Young Producers is a new project for young people who have taken part in Making Tracks, supported by the Arts Patron Trust. Our Young Producers Müqzz and Pedro are collaborating to put on a gig involving other young people and will be blogging about the process. 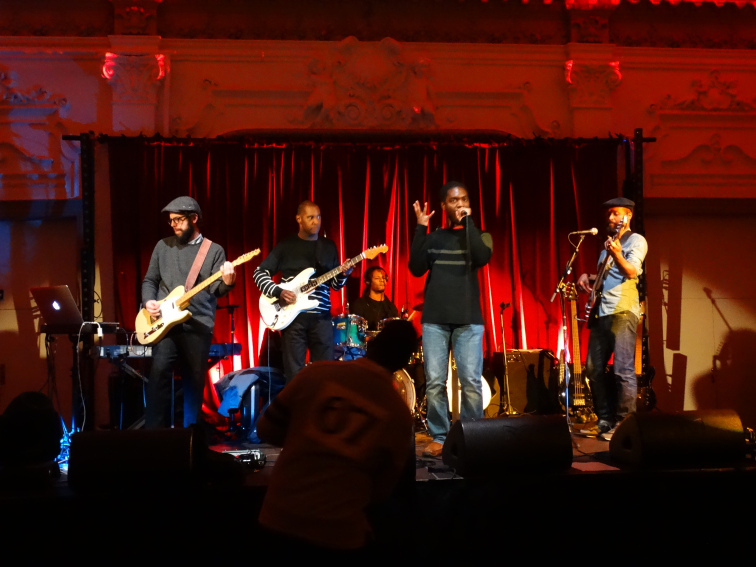 On our third day at Young Producers, we attended the Sounding Out gig. The Fish Police were the first act to perform and I was blown away with the performance. It was quite odd, something I’ve never seen before. The sounds were great and I could see the whole crowd bopping. I never knew who they were, which gave me high expectation, but they managed to meet. I managed to see all the acts before the actual gig at rehearsals and I was lost for words by the songs that Inside Out were going to perform. No words can do any justice but I have to say Alcoholic is my favourite song. It’s a song that gets you thinking, deep and has a strong message. I like songs with a story and a meaning behind it and I was glad to hear that song. Seeing it in rehearsals and then seeing it on the day, the song was bought to life and I could see the crowd enjoying it. Before the Inside Out performance, Phaedra, a violinist group performed. Classical music isn’t really my cup of tea but their performance was amazing. It was something that I’ve never seen before, I’m used to listening to more contemporary music. What I’ve learnt about the event was the different styles of artists that performed. Some of the songs had strong meanings and it told a story. It made me ponder about my experiences and gave me inspiration to write songs when I got home. On our second day at Young Producers we decided the name of our show which is Sesh ‘n’ Sauce. We then visited the two possible venues for the show which were Fox & Firkin and DIY Space. I really liked the atmosphere of Fox & Firkin (Lewisham), quite quirky and contemporary. However the train station was quite far from the venue which could be a problem for people coming to the venue. It was set in a pub which means it is an open place, so anyone can come in and join. Also this means we won’t have to do a lot promoting. The next venue was DIY Space for London (Peckham). The train station was quite far away from the venue. I liked the performance area – it was like a rave type feel. With this place we would have to do a lot of promoting to ensure we have a crowd unlike the other place this venue is a closed place. In conclusion, I would go for Fox & Firkin. I like the vibe it was giving. There’s a pub so people can buy drinks, food, sit comfortably and enjoy the gig. 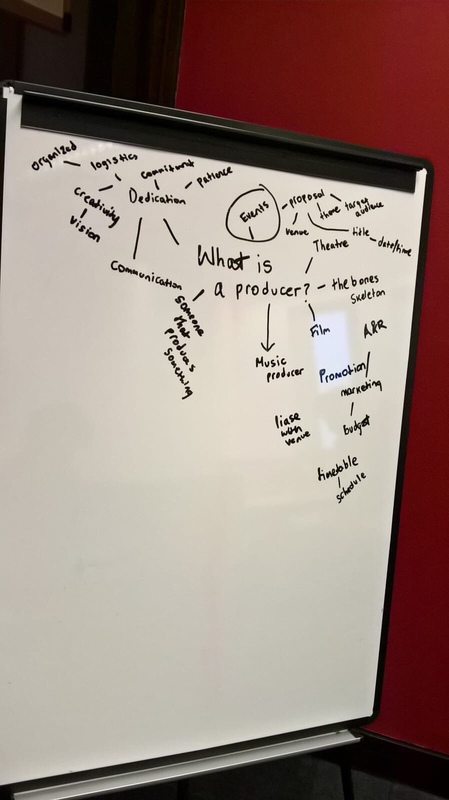 Young Producers is a new project for young people who have taken part in Making Tracks, supported by the Arts Patron Trust. Our 2 Young Producers Müqzz and Pedro are collaborating to put on a gig involving other young people and will be blogging about the process. On our first day at Young Producers me and Pedro were introduced to the lovely Irene Taylor Trust and their amazing office. Lauren took us around the building and went through the boring stuff (Health & Safety). Afterwards, we went on to picking our roles each. My roles are; liaising with artists, promotion & marketing and managing schedule of the show. 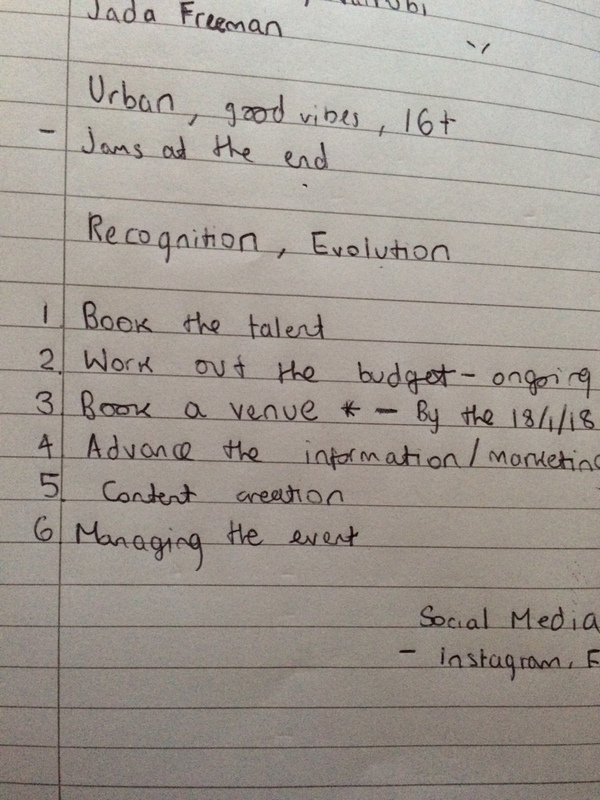 We then listed down what we need to focus on which are; target audience, which artists to get for the show, name of the show, venue, equipment we need, sort out live band and schedule of show. We then began making deadlines to complete what we need such as venues and promotion/marketing sorted out before February.